Organiser : - A Right Companion for Unique Innovators. 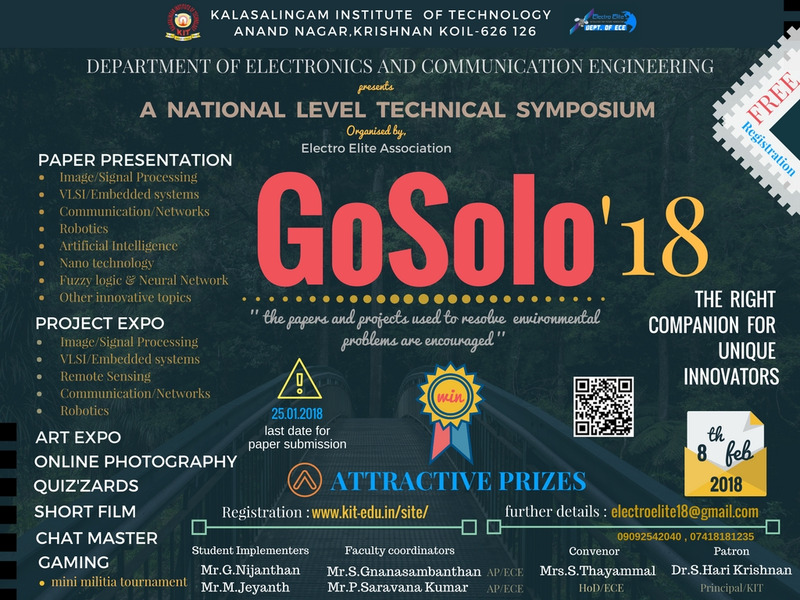 DOMAINS : Image/Signal Processing, VLSI/Embedded systems, Communication/Network, Robotics, Artificial Intelligence, Nano technology, Fuzzy logic & Neural Network, Other innovative topics. DOMAINS : Image/Signal Processing, VLSI/Embedded systems, Communication/Network, Robotics, Remote Sensing, Other innovative projects.